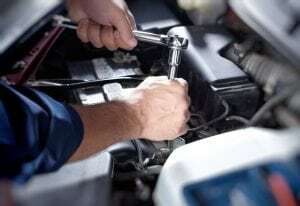 If you are living in Deerfield Beach, you are probably smart about treating your car well. You know to wash it and to take care of it and that is important. But if you haven’t taken it in for some time, it is time to go to Tropical Performance for Deerfield Beach Auto Repair. All cars need an oil change. Doing oil changes help extend the longevity of your vehicle and avoid costly trips to the mechanic. How often you change your oil depends on a few things from Driving Conditions to the Age of the Engine. If your car is older than every 5-15k miles will require it to have auto maintenance. When this happens, bring it to us, and get the best prices on oil changes and engine maintenance! Electrical systems will run into problems all the time during the rain seasons. All it takes is one extra-low dip into a flooded street, and your electrical system could go out fast. Another common problem is fluid line repairs. This is the most common service on the market for cars that are older than 10+ years. While the tires and brakes and oil might be checked and taken care of, the fluid lines are almost never changed or inspected. We service the entire tri-county area coming from Broward, Miami-Dade, and Palm Beach County, be sure to call us today! Tropical Performance is a full-service automotive repair and maintenance shop located in Deerfield Beach, FL. We have been serving customers in the Broward County area for over 14 years, and our ASE certified technicians have over 26 years of experience. If you have any questions about our services, feel free to call us today!